“Piccata” is a term used to describe coating meat in flour before cooking it up to a perfect golden brown finish. 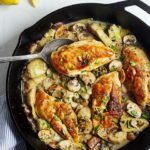 Chicken, veal, and fish can all be prepared in this fashion, served with a mouthwatering pan-sauce made from butter/oil, lemon, and capers. 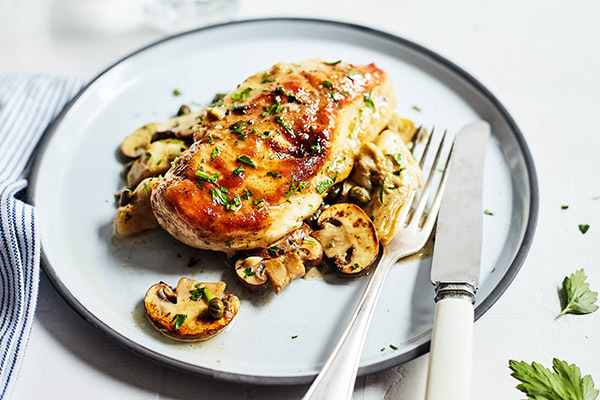 While the name sounds fancy, this Chicken Piccata recipe will show you how easy it actually is to make. For even cooking times, try to buy chicken breasts that are very similar in size. 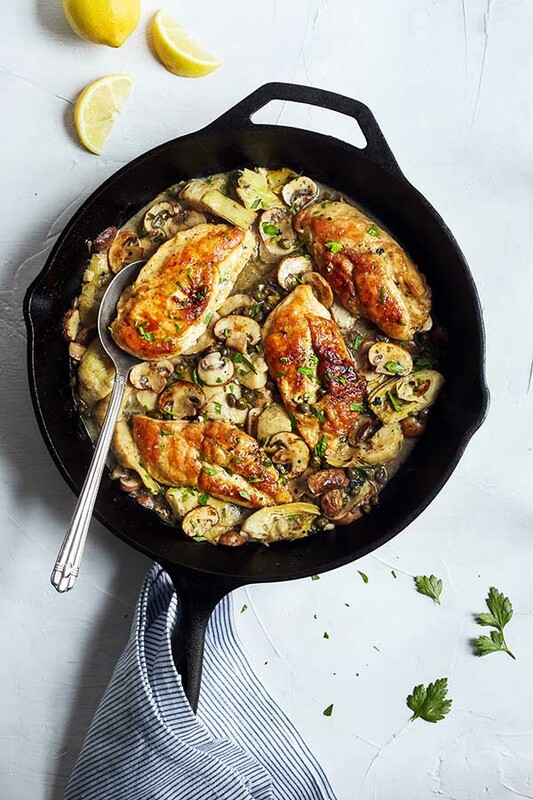 You’ll also want to ensure your pan is big enough to fit the chicken and all the extra add-ins for the sauce (such as artichokes and mushrooms). 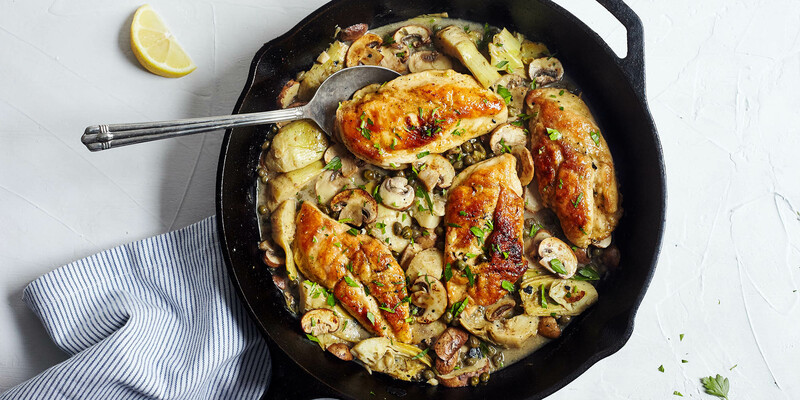 A frying pan with high sides will help to keep all your ingredients inside. Once you get the hang of this recipe, try making Fish Piccata! You’ll only need to adjust the serving size to suit the meat you’ve picked and the cook time, but other than that, it’s a very easy swap. 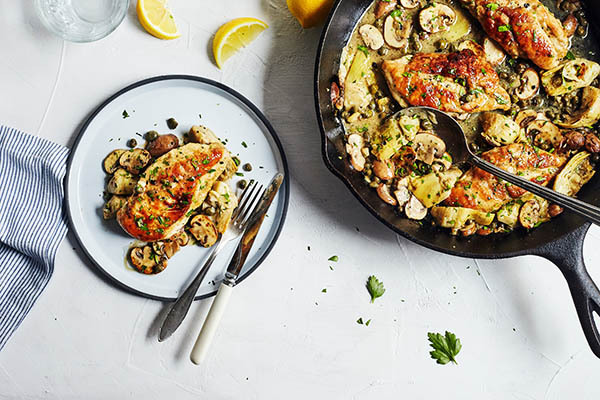 This healthier chicken piccata recipe is prepared in the classic style and topped with flavorful mushrooms, artichokes, and capers.